Inspect7® has revolutionised the scaffolding and temporary works industry. Both our hardware and software work seamlessly together to optimise the inspection process, as well as providing efficiency and ensuring safety at all times. Notifies the user of how many days until the next inspection. 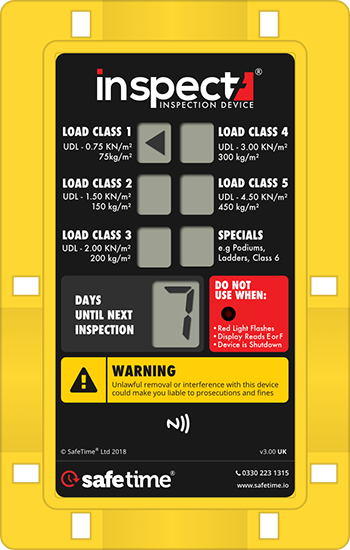 The Inspect7® device is fully tamper-proof, and a battery indicator is displayed on the latest inspection. The inspection device has been manufactured to withstand the toughest conditions. Inspect7® uses the latest technology and utilises secure VPS servers, with a fully encrypted connection. 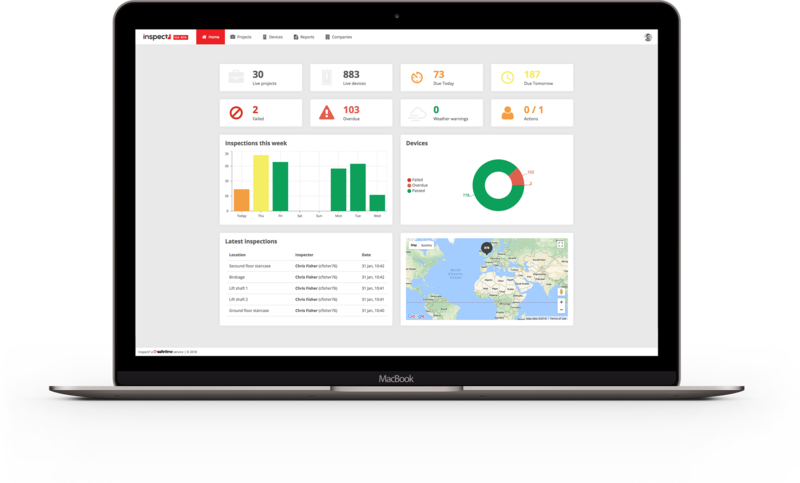 Inspect7® has been developed to compete with any commercial solution available today, as well as offering so much more in regards to service and user satisfaction. Since all information is stored on our dedicated Inspect7® server, there is no need to print anything, reducing printing costs. Allowing collaboration between all parties. Inspect7® uses the ‘Met-office’ data to produce a weather report. This then notifies the user if a re-inspection is recommended. Shows the user the locations of their projects & even where the last inspections were carried out. Alert’s the user of pending inspections.